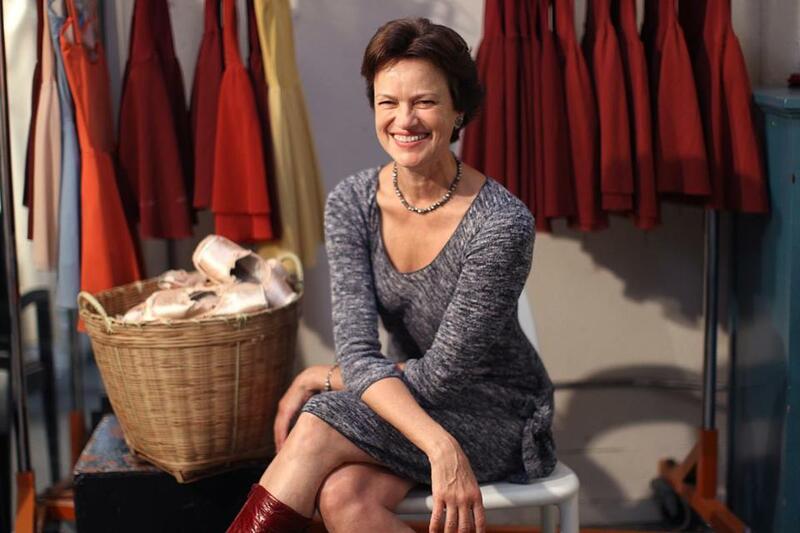 Helping dancers achieve a perfect fit keeps company shoe manager Kathleen Mitchell on her toes. We have 37 women, and none of them wear the same pointe shoe. If you look at a person’s bare feet, they are all totally different — the length and shape of toes, height of arch, width of the heel. Everything is individual. The dancers sew on their own ribbons and elastic, step on them, bend them, glue them, all to mold perfectly to the foot. Moms of ballet students shouldn’t do this for them! As a soloist at the San Francisco Ballet, I became intrigued with how important the pointe shoe was in making me the best dancer I could be. There came a time when I didn’t feel like I had a pointe shoe on at all, and that’s the goal for all dancers, for it to feel so natural you can really concentrate just on the dancing. I’m ordering shoes for spring 2017 now. If you imagine all these different dancers, and they all wear different shoes made by a specific maker, such as an artisan at Freed shoes in London. That person can only make 45 shoes a day. And there are only 27 men that make all the pointe shoes in the world. Delivery can range from four months to 17. I have one dancer that uses the maker that takes 17 months, so I have to plan today or she wouldn’t have shoes to wear — a disaster! Ordering is quite a puzzle. That’s why I like it. And I like meeting with the dancers and them showing me their shoes and what they’re not allowing them to do. I suggest tiny modifications, we make a trial shoe, and then I love it when they come back and say, “It’s perfect!” On stage, the one perfect shoe for that role on that day and that moment: That’s magic. STEP LIVELY Boston Ballet’s The Nutcracker runs from November 27 to December 31. For information on tickets and the rest of the company’s season, visit bostonballet.org.